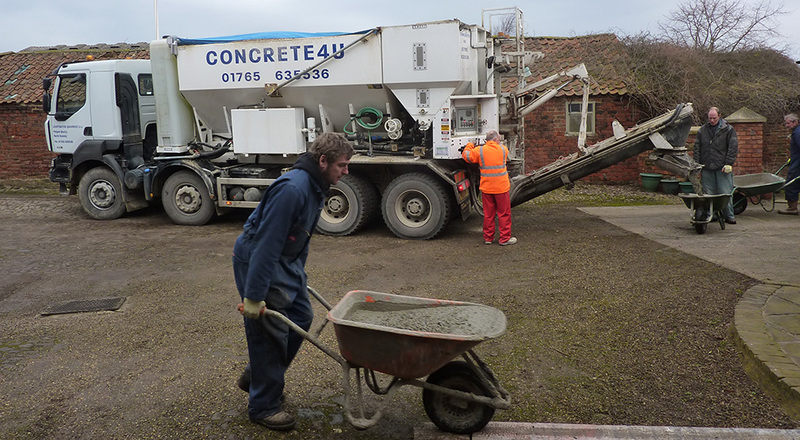 At Concrete4U we specialise in on-site mixed concrete in the Harrogate area. The on-site mix wagons carry the raw materials to site and mix the concrete while on the site. This means we can guarantee our customers the right concrete for the job with no mess and no waste and no fuss. The wagons come with two wheelbarrows on them four our customers use should they be required. We will gladly wait while you barrow the concrete to the job should that be required however the on-site mix wagon does have a chute on it with a reach of between 3 and 4 meters and an elevation of up to 1.1 meter. 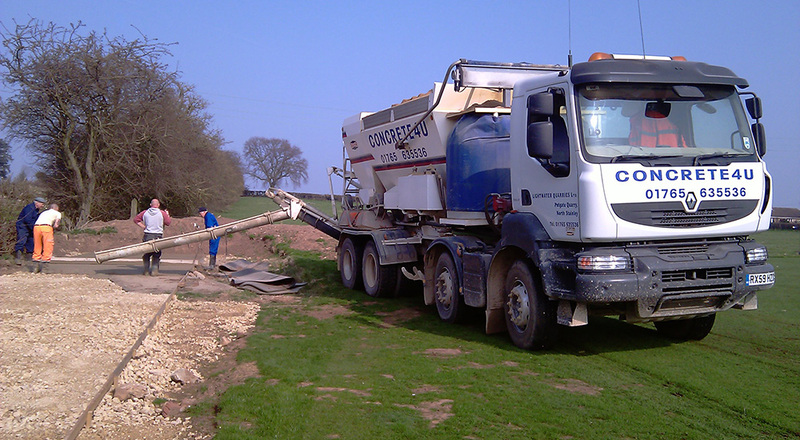 Because we can alter the type of concrete on site and also the quantity there is never any need to worry about wasted material and mess, we will mix as much as you need and when you have enough we simply stop ensuring you get the exact amount. Sometimes it is a challenge to work out the exact amount and with our exception al customer service there is never any need to!